writer. reader. nap taker. cake eater. 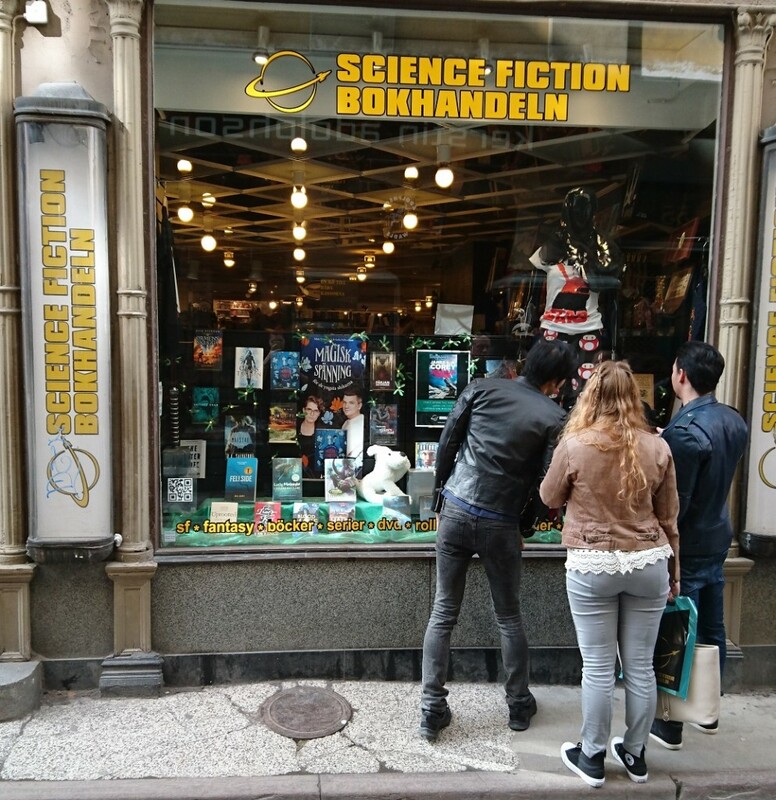 Science Fiction Bokhandeln – Best Bookstore EVER! 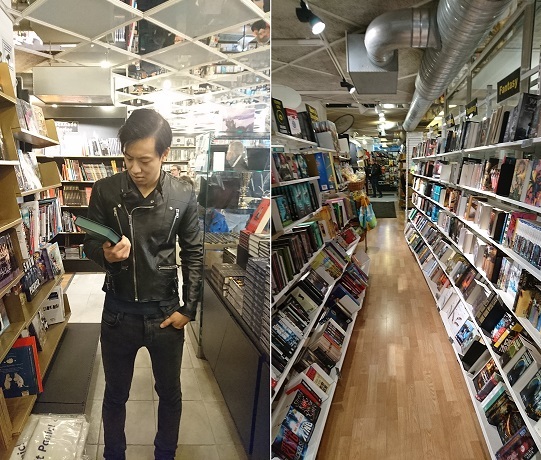 This treasure is in Gamlastan (Old town) in Stockholm and if you’re ever in the area you should definitely visit! What looks like a tiny shop is actually huge. Just keep going. 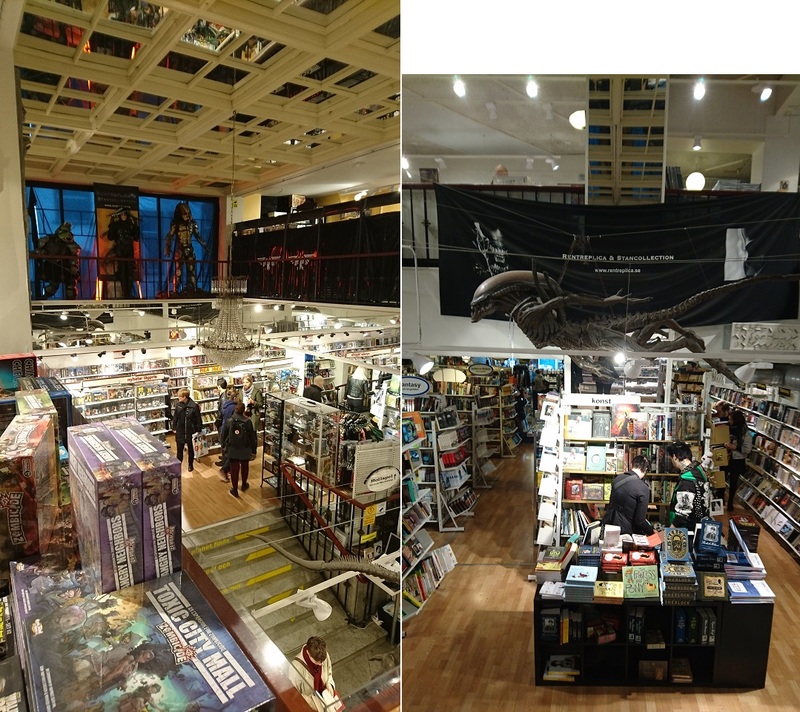 The first floor of books and fandom swag goes up stairs to a platform of dvds and shirts and then up another set of stairs to a floor of boardgames. The first time I was here I didn’t even realize it was so big, I was so overwhelmed by the first section. 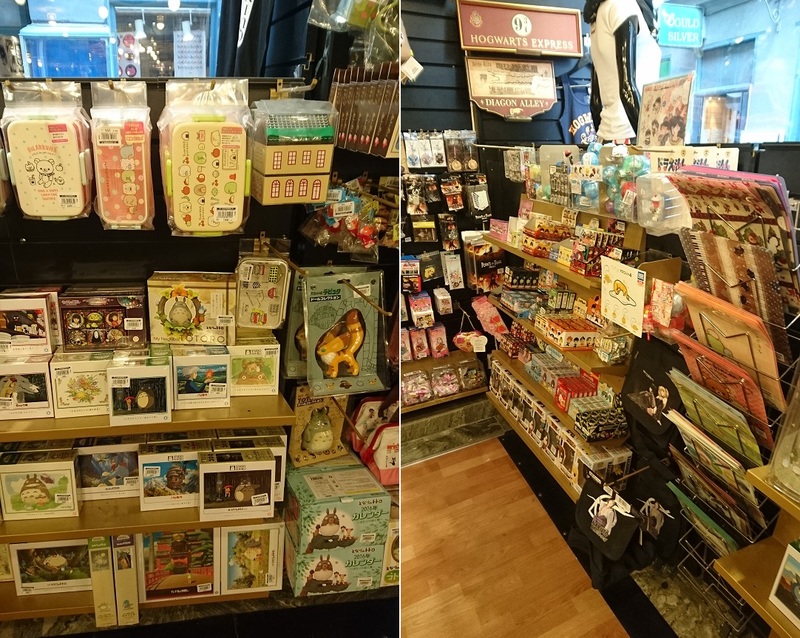 In fact, the first time I was here I was so overwhelmed by all of the cute stuff and books that I didn’t buy anything! Nothing! I regretted it so! 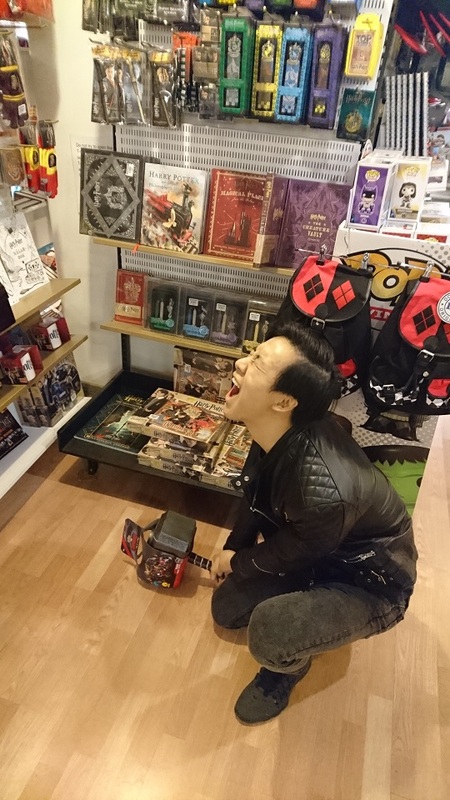 Phong found Thor’s hammer amidst the fanswag! Turns out he’s not worthy of ruling Asgard. I really wish we had one of these in Umeå. 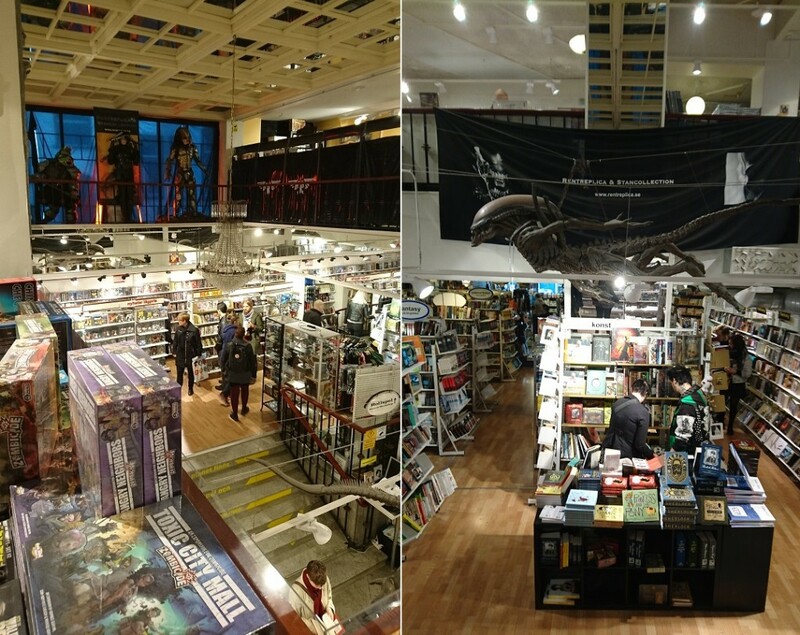 This is, hands-down, my favorite shop in Stockholm. Visit it! You’ll love it! 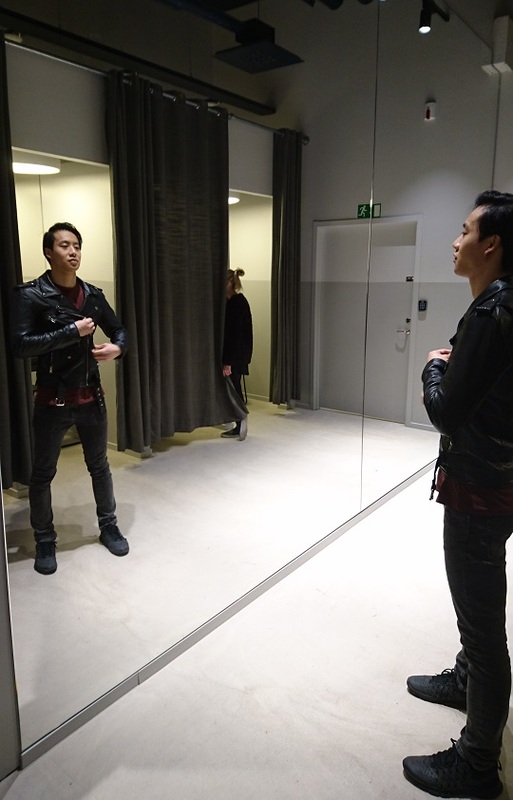 We went on a shopping weekend with Phong’s brother and Linn. 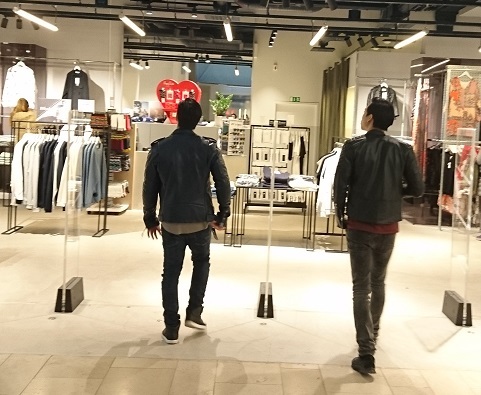 It was a whirlwind of jackets and jeans as we were on a boys shopping adventure. Linn and I were along to give directions- not a bad use of our time especially as it got me out of the snow of Kiruna. 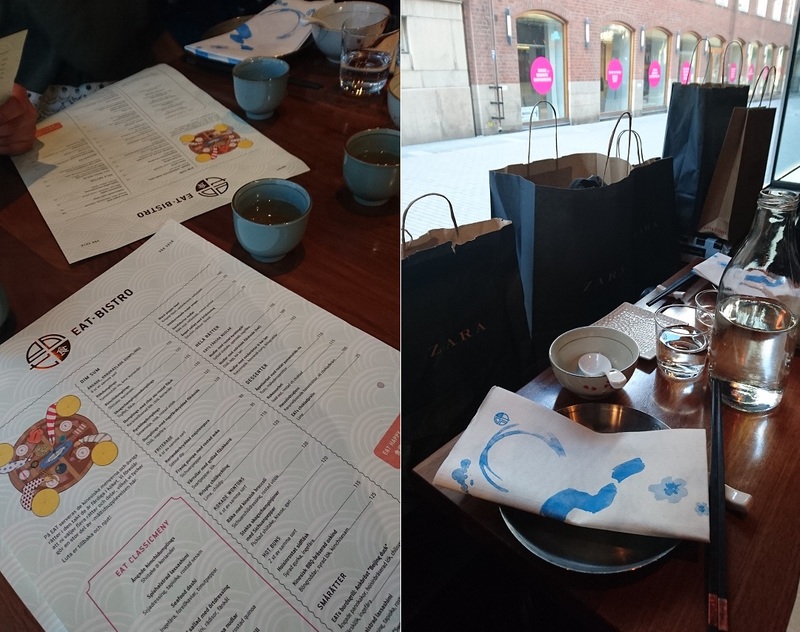 We spent most of our time in central Stockholm at the malls. 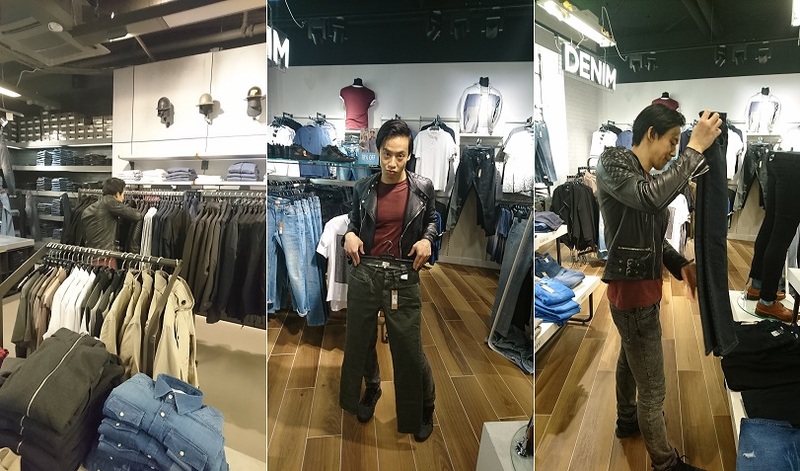 Among the shopping favorites of the weekend were Zara, River Island, Solo and Deadwood. It did not take long for Phong to start getting silly for the camera. 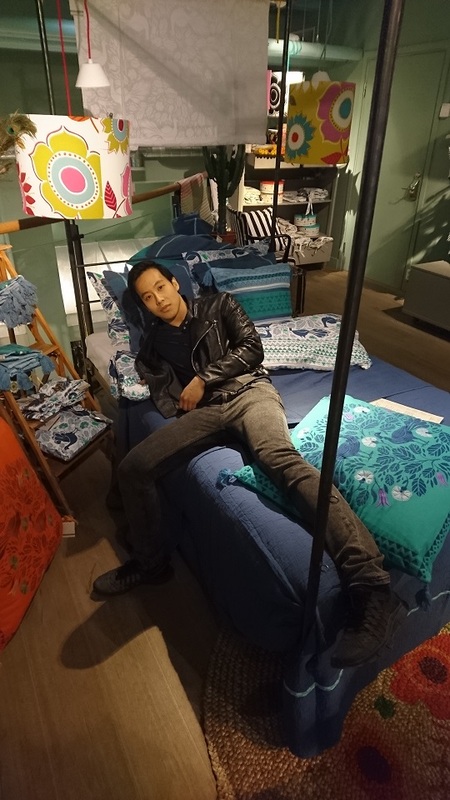 As soon as he saw a bed display he got comfy. 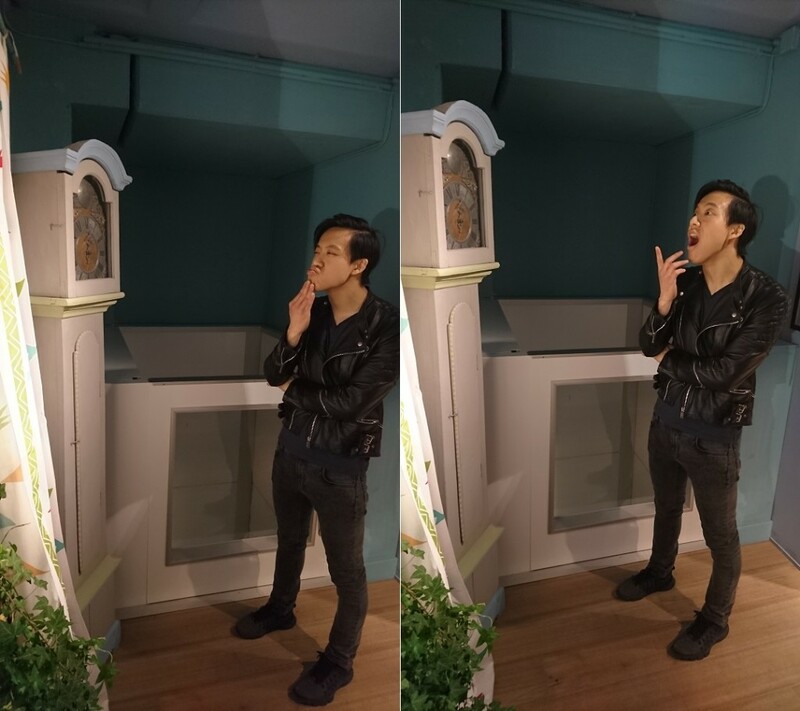 Phong contemplating time on a decorative clock with no arms. 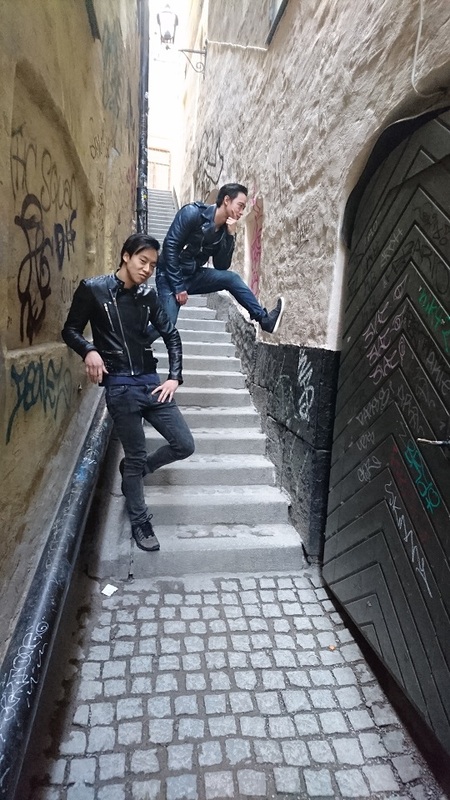 The Chau brothers on the narrowest street in Stockholm. They have a great habit of looking like an album cover. 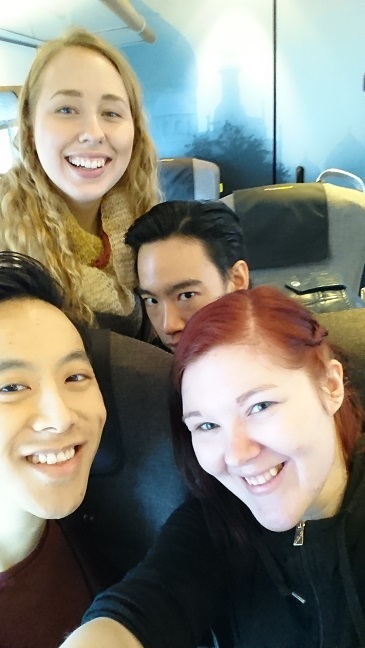 We went to Stockholm for the weekend. 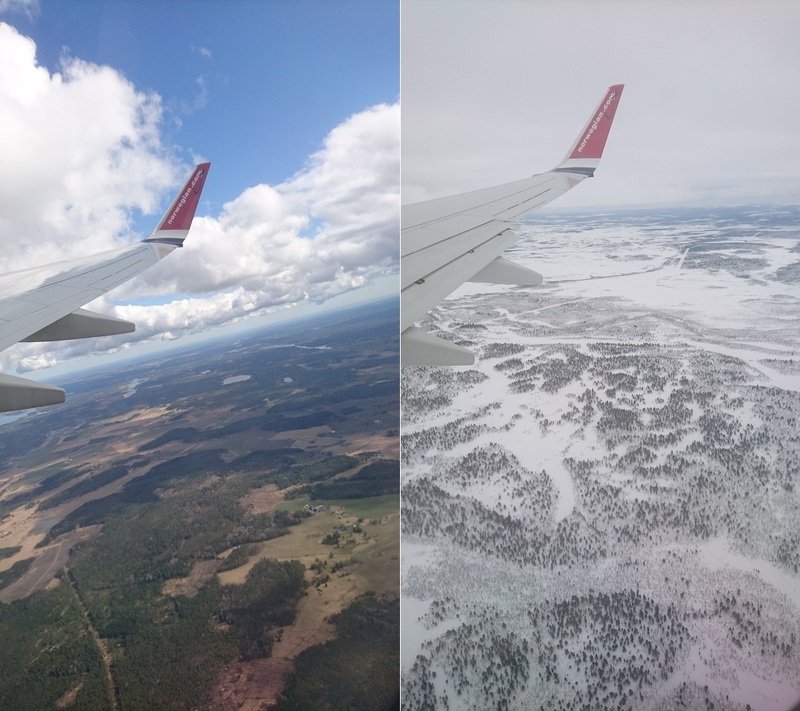 The flight from Kiruna down took about an hour and a half. We flew with Norwegian Air. I’ve only ever had good experiences with Norwegian. And Stockholm was blissfully without snow! Phong slept on just about every piece of transportation, as usual. 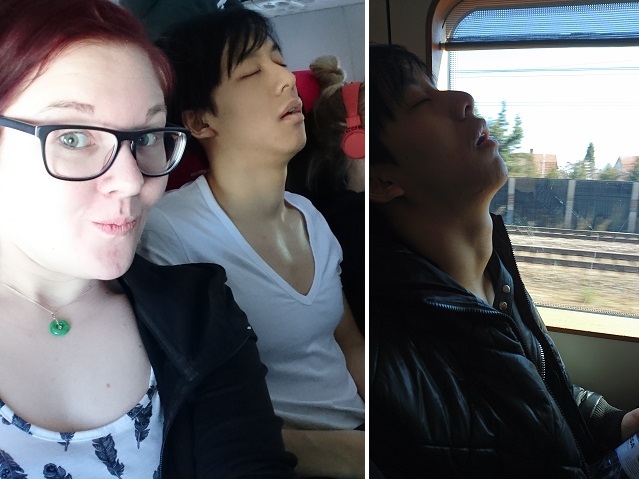 He even fell asleep on the plane before take off and didn’t wake again until we were in the air. 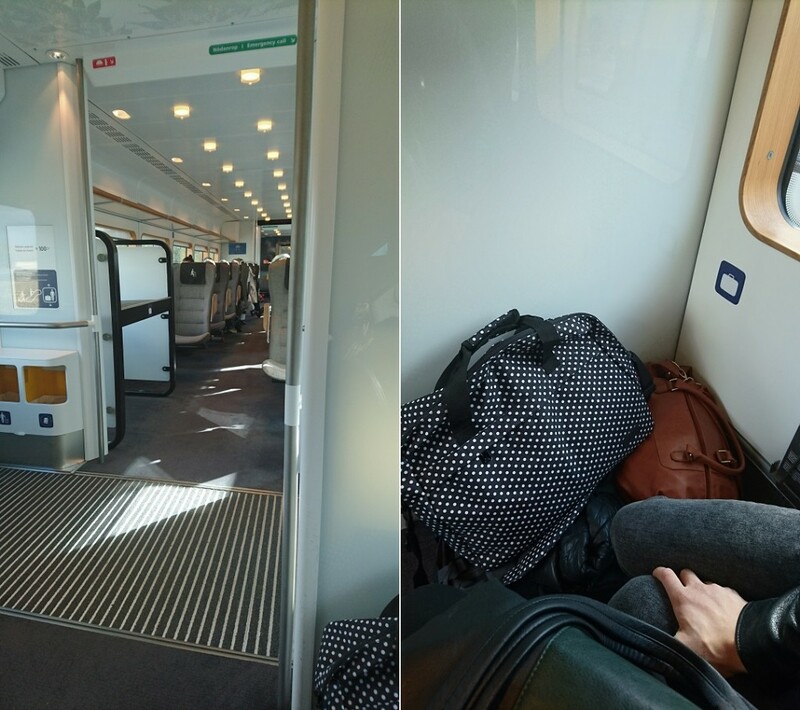 We took the bullet train between the airport and the train station in town. It’s a little more expensive than the bus but it only takes about 20 seconds and it was really comfy. It’s cheaper the more seats you’re buying at a time. 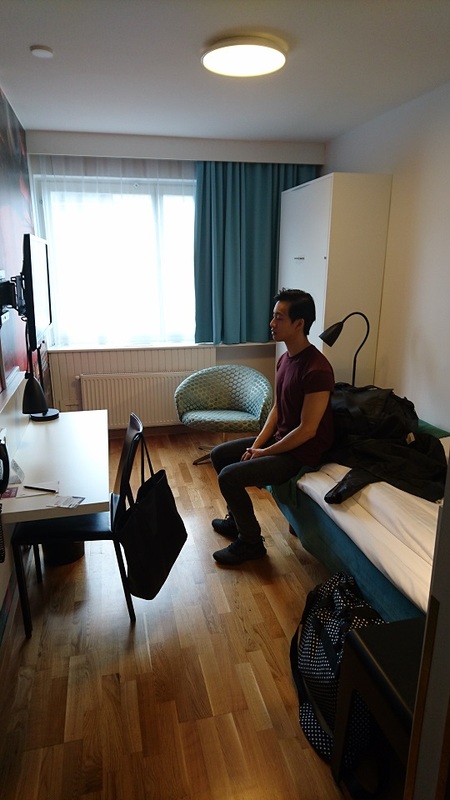 We stayed at Scandic Sjöfartshotellet. Scandic is a chain of hotels here. We were surprised to find tiny twin beds in our room. The cabinet behind him in the picture folded down into a second bed. We moved the other one over so we could sleep next to each other. Phong and I sleep like otters. We hold hands. I didn’t know this was an otter thing until Phong heard about how they hold hands so they don’t drift away from one another at night. 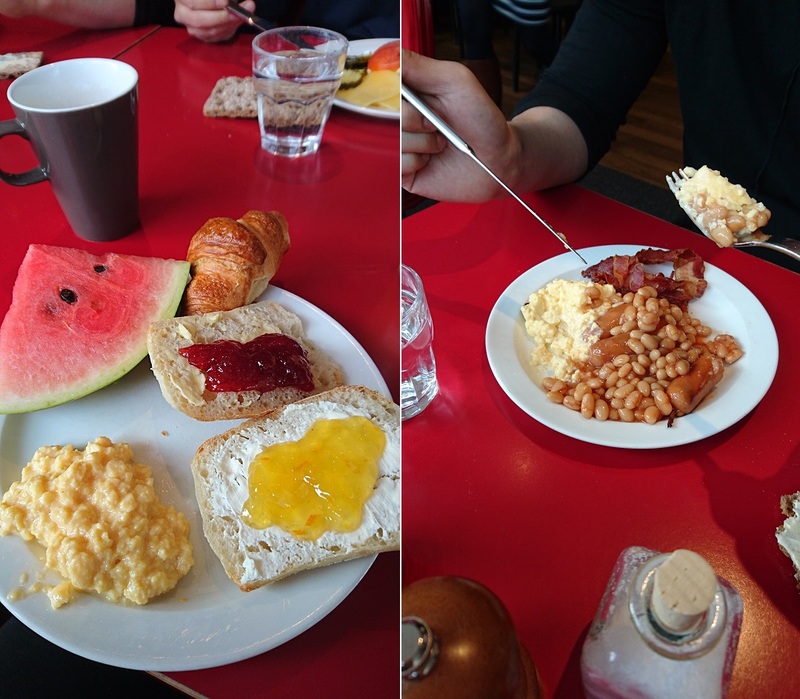 Swedish hotels have great breakfast buffets! Breads with different spreads, cheeses, veggies and meat slices. Baked beans, bacon, eggs and much more. 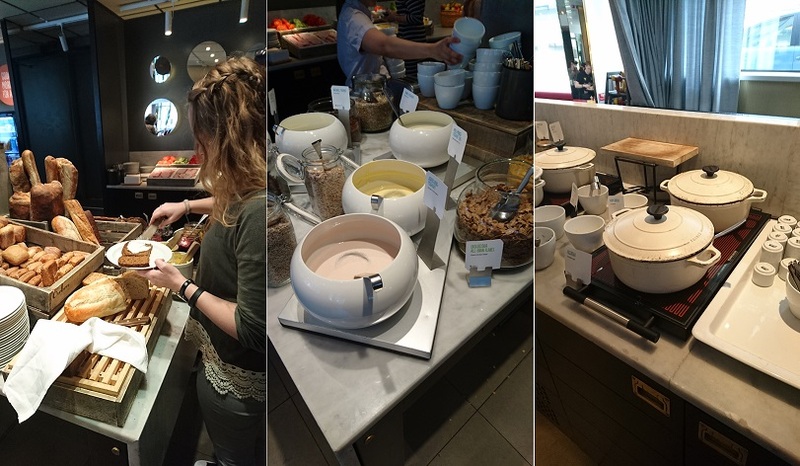 This particular Scandic also had teapots you could fill and bring to your table. A nice touch. The whole hotel was very nice. Big gym downstairs. Happy staff. And a good breakfast. 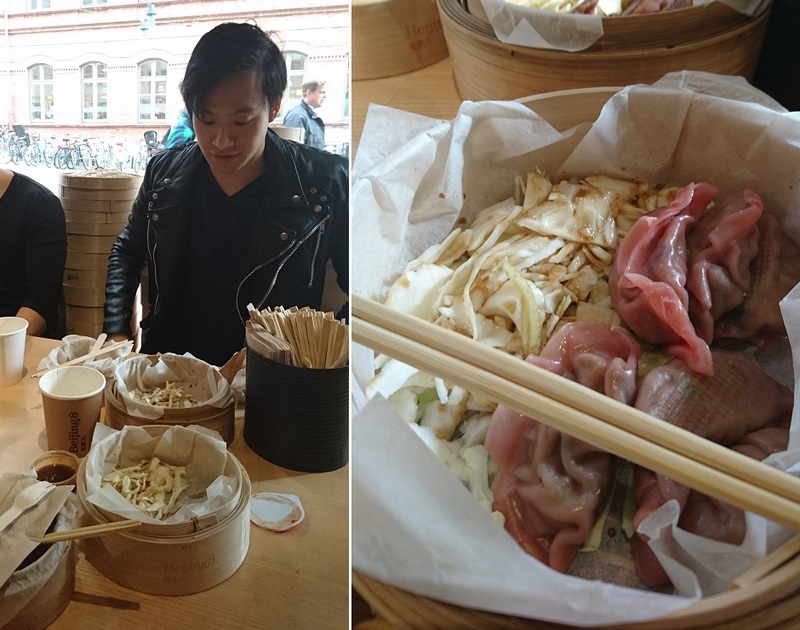 We spent the weekend in Stockholm and managed to go to three different dumpling restaurants. They were all pretty great. Beijing 8 is a chain of restaurants, super inexpensive but really good. 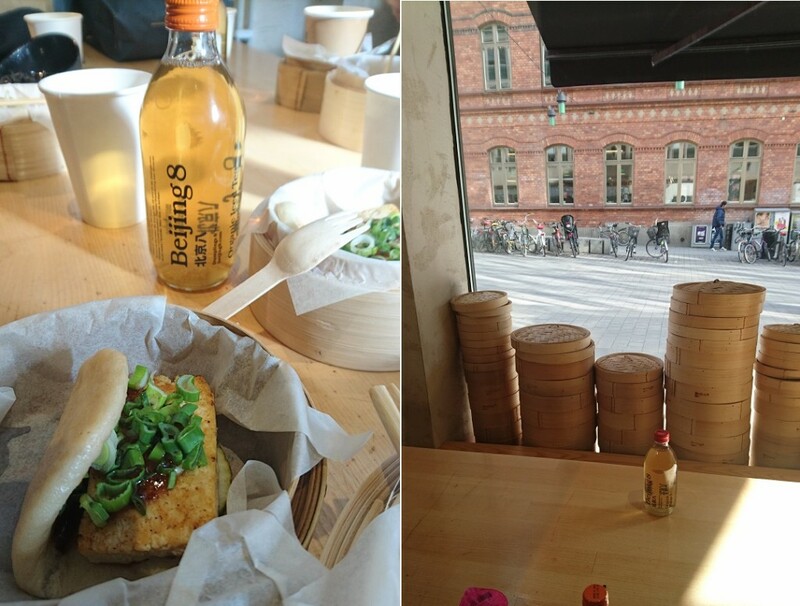 I was really surprised how much I liked the tofu bao. I’m not usually a fan of tofu but it was great. And the dumplings were good! I’d definitely go into a Beijing 8 again. EAT was a real sit down, dinner time, restaurant. 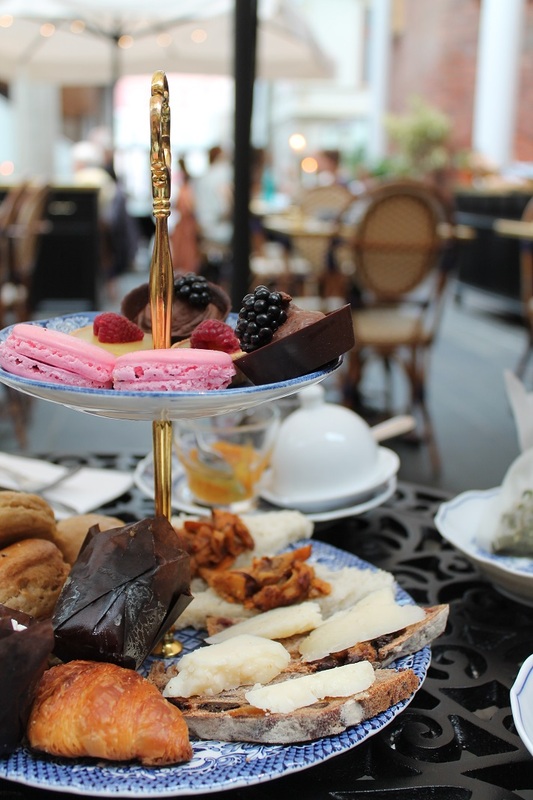 I’ll admit, I’m charmed by a places that gives me a cup of tea to start with while reading the menu. Phong finally got his hands on noodles. They were in a curry sauce, a little spicy and really good. 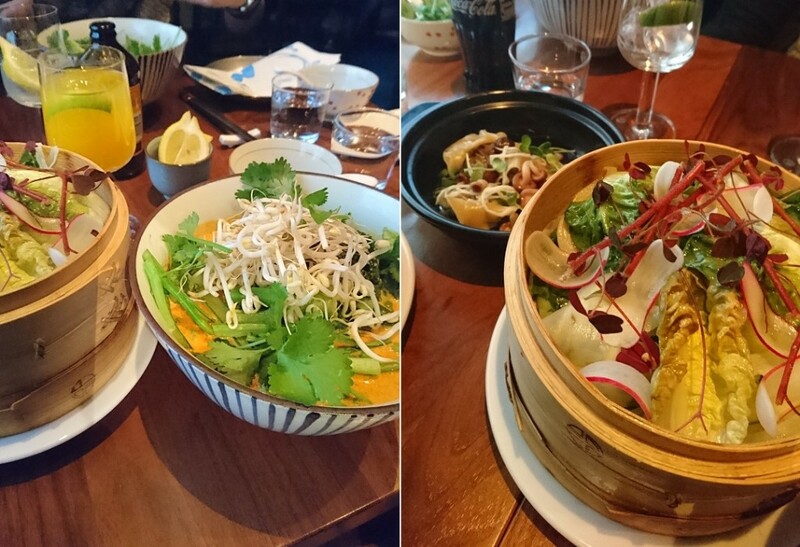 I tried both of the vegetarian dumplings on the menu. 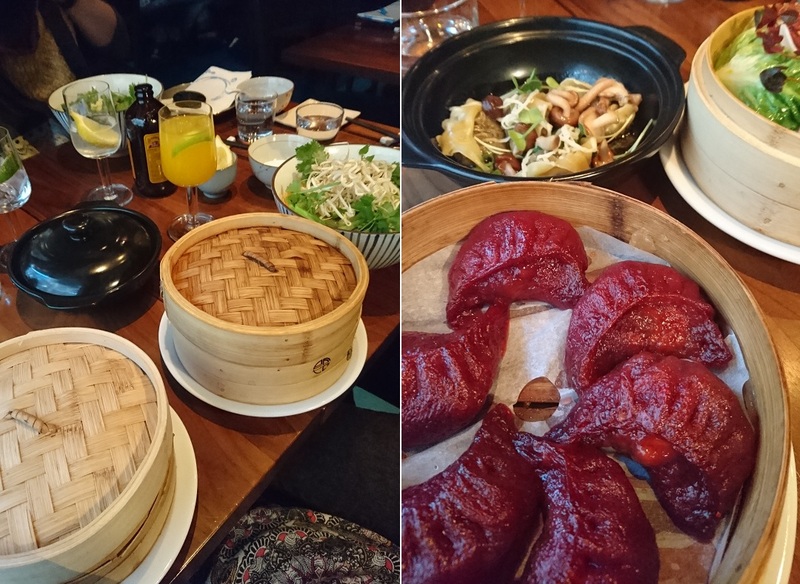 The mushroom dumplings were AMAZING. 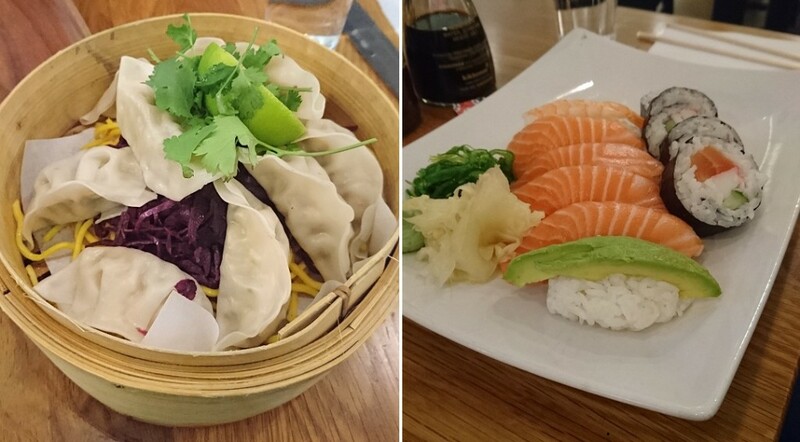 The purple ones in the pictures are kimchi filled dumplings in a beet dough. I did not realize they were in a beet dough when I ordered them. The filling was good but I’m really not a fan of beets, it overpowered the whole thing which would have probably been great if I liked that flavor. Holy Monkey! Located in the train station in Stockholm. We went here on our way in from the airport. We were so hungry! Cute little place and the food came out really quick. I was sitting next to Linn so I took a picture of her sushi too. The vegetarian dumplings were good and I really liked the plum sauce. 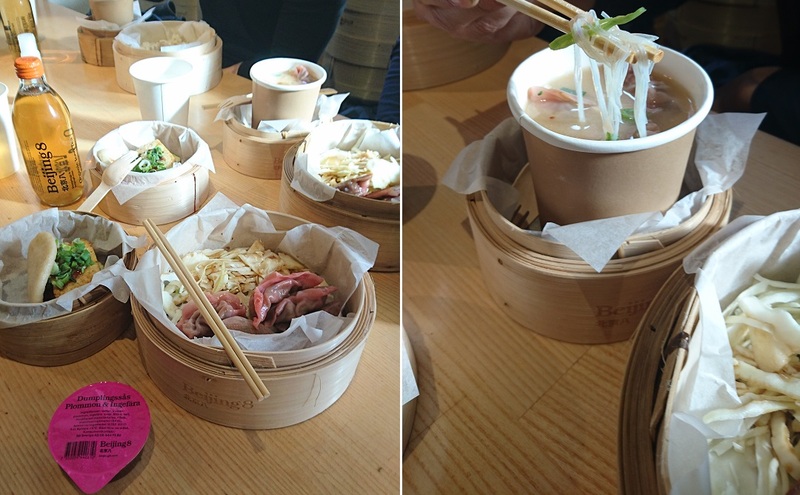 I wasn’t a fan of the cold noodles underneath but both Phong and Linn liked them. 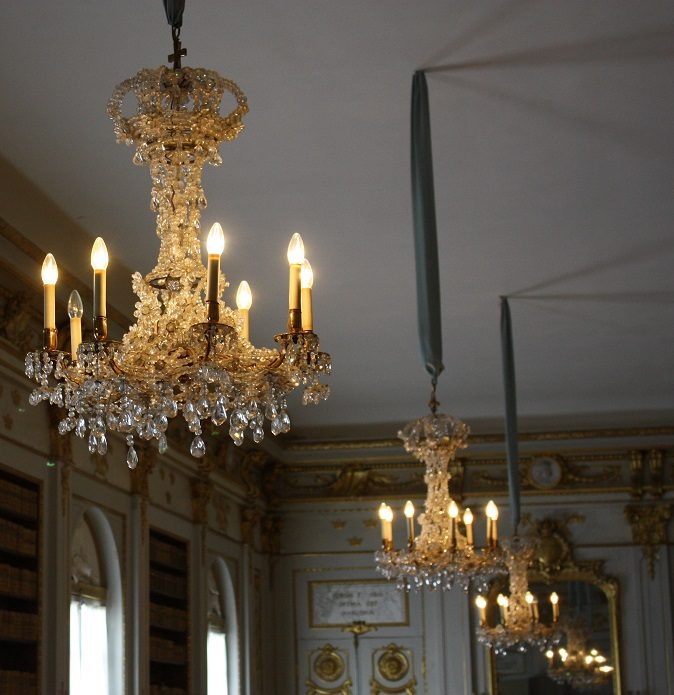 After our visit to Drottningholm Castle in Stockholm, I realized that about half of my pictures were of chandeliers. It took me a while but I whittled it down to a large handful to share here. 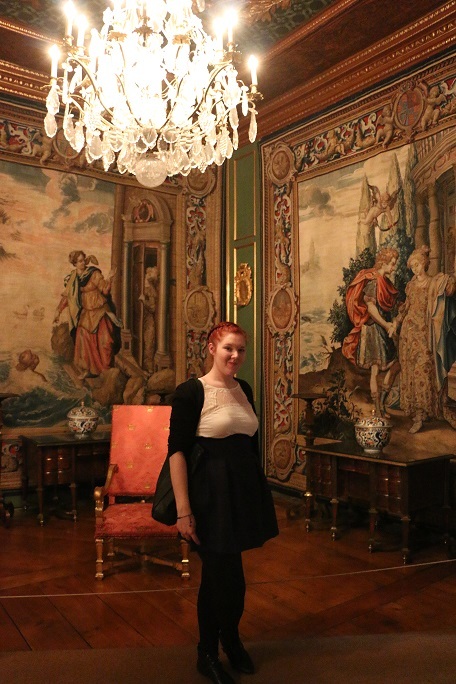 I have not gotten over how much fun it was to visit this castle or how incredibly delightful it was to find out that we were allowed to take pictures inside. 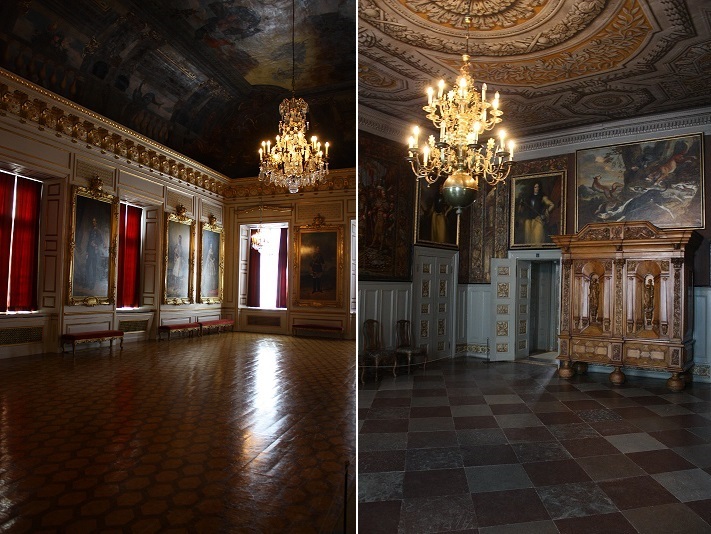 The last castle I visited in Stockholm had a no pictures policy that was rather disappointing. There was a throne in that one that was breathtakingly dwarfed by the room in which it sat and I have no picture of that. You might notice that some of the pictures are dark. Drottningholm allowed picture taking but no flash using, although we totally saw a guy using flash anyway and gave him a stern glare for it. I’d really like to have a loft someday that looks like one of these rooms. 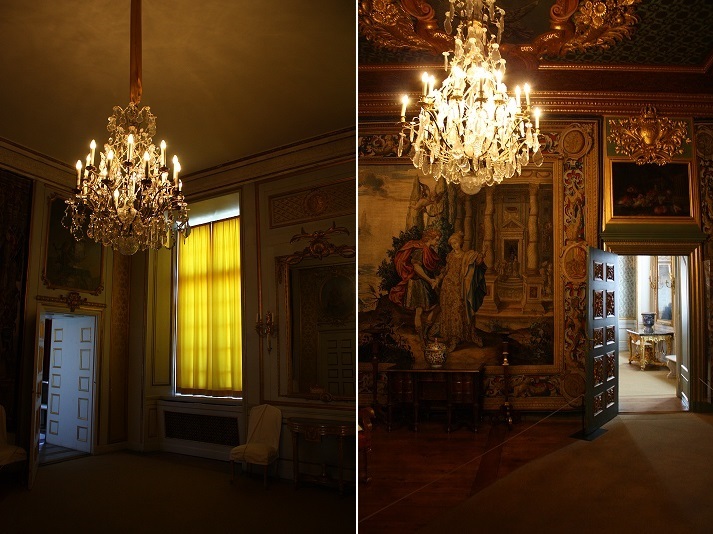 Just a small apartment with crazy tall windows and doors, gilded everything and a chandelier. 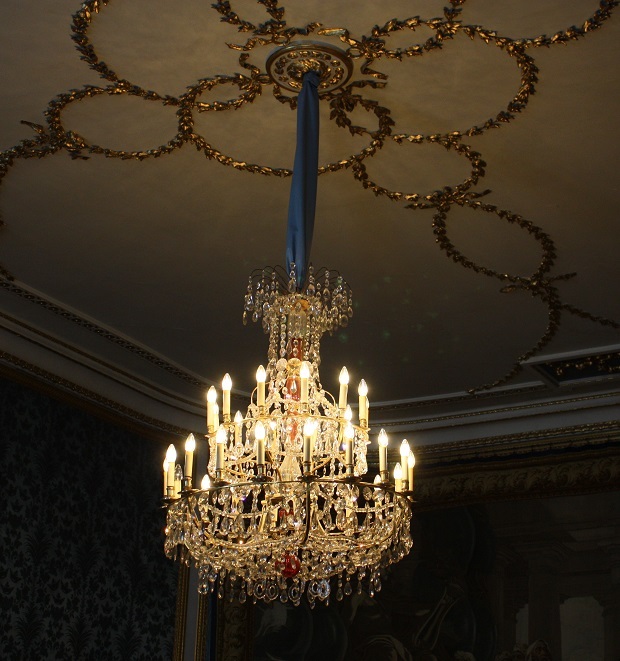 Or maybe a few chandeliers… How many chandeliers would be too many? 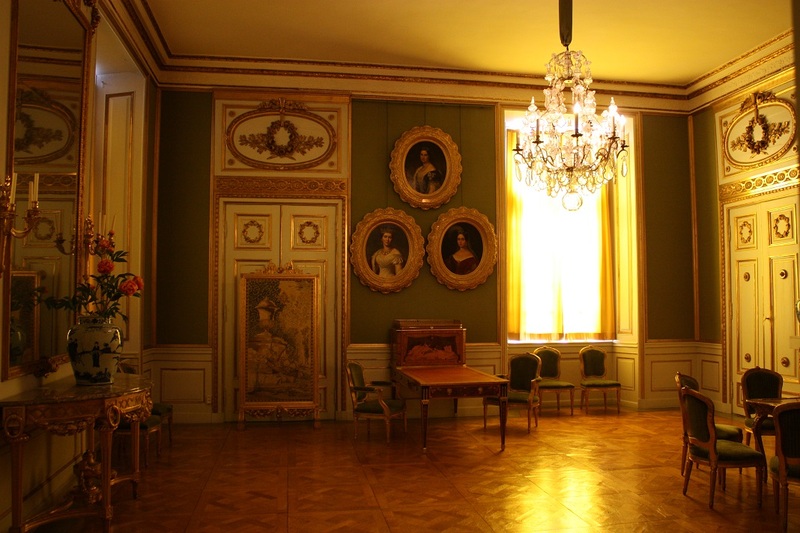 All of these were from Drottningholm. Just about every room we visited had at least one and I’m sure I took a picture of nearly all of them. 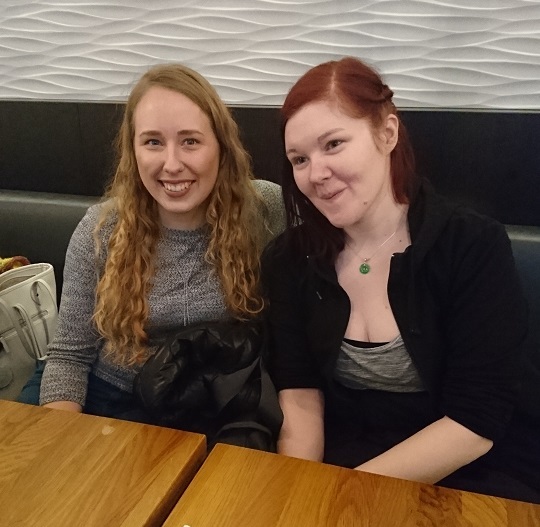 The last picture of me was taken by my beloved travel buddy/favorite photographer, Linn. 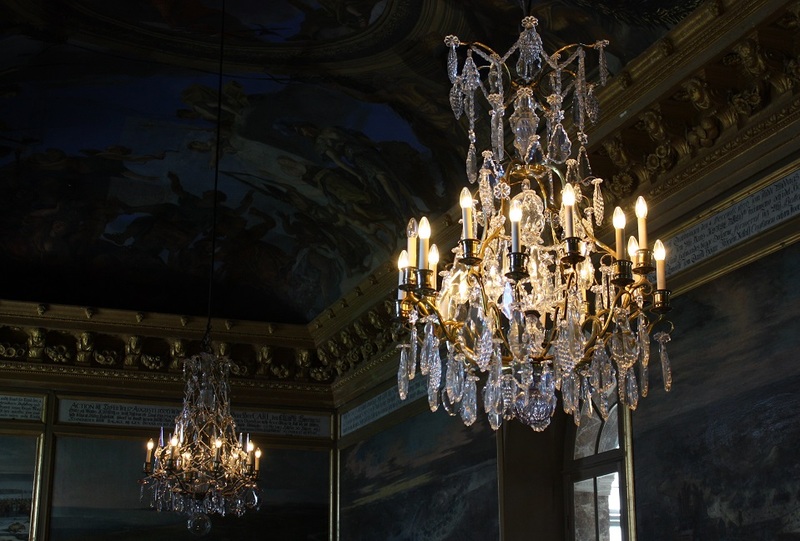 I hope you enjoyed the pictures and if you ever find yourself near Stockholm, you should definitely check out Drottningholm castle. All of these pictures are still only a handful of what we got to see here. My first book published was not the first written.